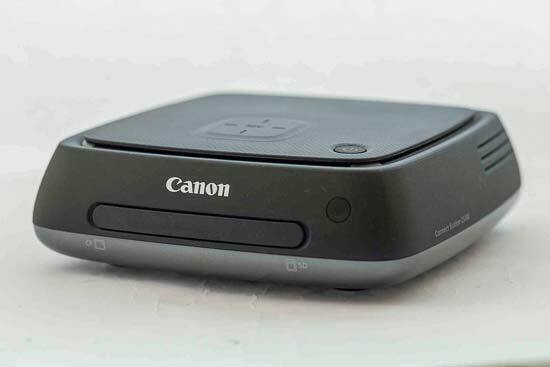 Canon's Connect Station (CS100) is a way to store, save and view your photos and movies on your TV. Inside is a 1TB hard drive, and outwardly it has a very simple design. You'll need a HDMI cable to connect it to your television (not supplied). The Canon Connect Station CS100 retails for £209.99 / $299.99. The Canon Connect Station CS100 is lightweight and has a basic, rectangular design. On the top of the box you'll see an NFC symbol which you can use with compatible cameras. On the front of the CS100 you'll see a removable flap, which comes away entirely and obscures the SD and CF card slots. If you're planning on often using these slots it'd be easy to misplace this flap, but all it does is give the front of the box a smoother finish and performs no necessary function. The Canon Connect Station CS100 is very easy to set up and start using. It needs an external power source, but you'll probably want to place it near to your television and not move it (unlike a portable hard drive that you take on the road with you). Once you've attached the power, you plug the HDMI cable to connect the CS100 to your TV. Switching your TV to the appropriate channel you'll be greeted with an initial set up screen the first time you take it out of the box. There's a remote control supplied with the Canon Connect Station CS100 which you use to navigate through the various settings. 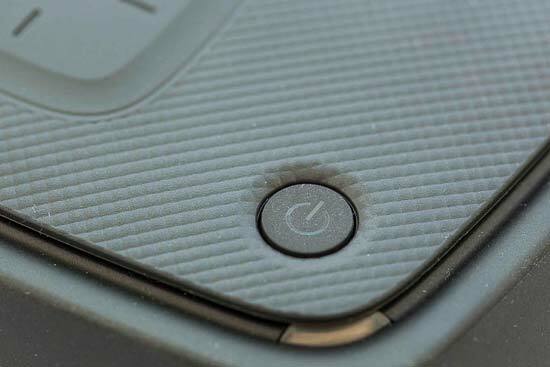 On the remote you'll also find a home button which can take you to the CS100's home screen at any point. From here you can set up the box with various essential settings, such as language, region and set it up with your wireless network. If you don't have a wireless router, there's also a port on the back for a ethernet cable. Once you've set up the box you're ready to start transferring images. There are a number of ways that you can achieve this. If you have an NFC Canon camera, you can place it near the NFC symbol on top of the box and it should automatically start to download your pictures to the box. Once you've started the download, the connection is formed over Wi-Fi, so you can move the camera, it doesn't have to be close to the NFC chip. It's a shame that other cameras equipped with NFC from other brands can't be used with the Canon Connect Station CS100 - something to bear in mind if you have cameras from other brands. 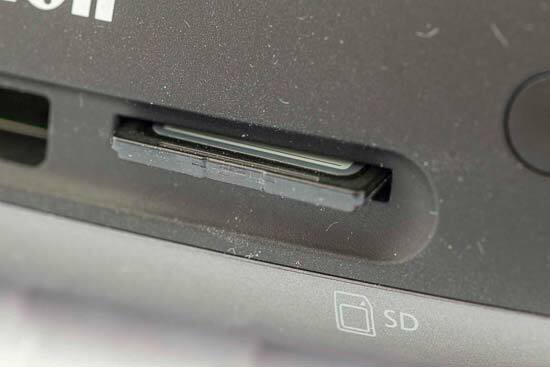 You can also start a transfer by slotting either an SD card or CF card into one of the two front slots. If you have a large card with lots of files on it, this will take quite a while to transfer across - a display bar will indicate the progress of the transfer. The Canon Connect Station CS100 will import all of the files on your memory card, and there's no way to manually sort any which you don't want to be transferred. Once they're on the device you can delete them one at a time, but of course that is pretty time consuming. An alternative would be to sort out the photos you want to keep on your computer first, delete any ones you don't need, and then plug the SD card into the CS100 to back up the ones you want to keep and view often.